Patient not happy with shape and color of his teeth. Bonding provided patient with pleasing esthetic appearance with out the high cost factor. Patient and parent had concerns with undersized lateral incisors and resulting spaces. Case was treated with composite veneers to restore proper shape and proportion to the lateral incisors. 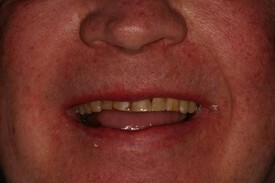 Patient had concerns with cracked, worn and stained appearance of central incisors #8 and #9. 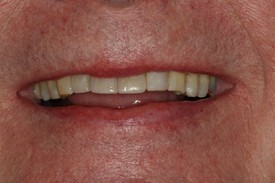 Composite veneers were used to restore beauty to teeth #8 and #9.